The Bush Library and Museum is situated on a plaza adjoining the Annenberg Presidential Conference Center and the George Bush School of Government and Public Service. 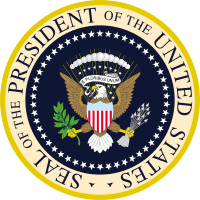 It operates under the administration of NARA under the provisions of the Presidential Libraries Act of 1955. 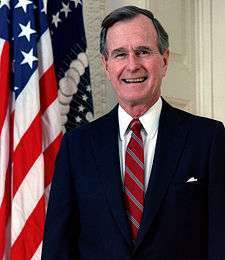 The textual archives contain more than 44 million pages of personal papers and official documents subject to the Presidential Records Act, as well as personal records from associates connected with President Bush's public career as Congressman, Ambassador to the United Nations, Chief of the U.S. Liaison Office in China, Chairman of the Republican National Committee, and Director of the Central Intelligence Agency. As in all NARA presidential libraries, records are housed in acid-free storage (Hollinger) boxes in a balanced humidity and temperature atmosphere. The archival storage area houses 13,000 cubic feet (370 m3) of records and the library has a National Security vault holding 3,500 cubic feet (99 m3) of Presidential Records. In addition to memoranda, speeches, and reports found in the textual collection, there is an extensive audio-visual and photographic archive that includes approximately 2 million photographs and thousands of hours of audio and video tape. A statue of horses leaping over pieces from the Berlin Wall stands on the plaza of the library. The statue depicts the fall of the wall in 1989, when Bush was president. On April 23, 2007, the permanent exhibit closed for complete renovation (though the temporary exhibit gallery remained open, hosting the popular "Traveling White House in Miniature" exhibit). The museum reopened November 10, 2007, with a ceremony during which the former president arrived via parachute jump. The permanent exhibit now features (like many other presidential libraries), a replica of the Oval Office; unlike those presidential libraries, visitors will be able to fully enter the replica, sit behind the president's desk, and have a souvenir photo taken. ↑ "George Bush Presidential Library Foundation". Charity Navigator. Retrieved November 30, 2013. ↑ "10 Highly Paid CEOs at Low-Rated Charities". Charity Navigator. Retrieved November 30, 2013. ↑ Kever, Jeannie (November 10, 2007). "A more interactive George Bush library and museum reopens". Houston Chronicle. Retrieved November 10, 2007. ↑ "Surprise Entrance: Bush Parachutes In at Library Reopening". KBTX News. November 10, 2007. Retrieved August 10, 2015. ↑ "George Bush Award for Excellence in Public Service". George Bush Presidential Library Foundation. Retrieved August 10, 2015.